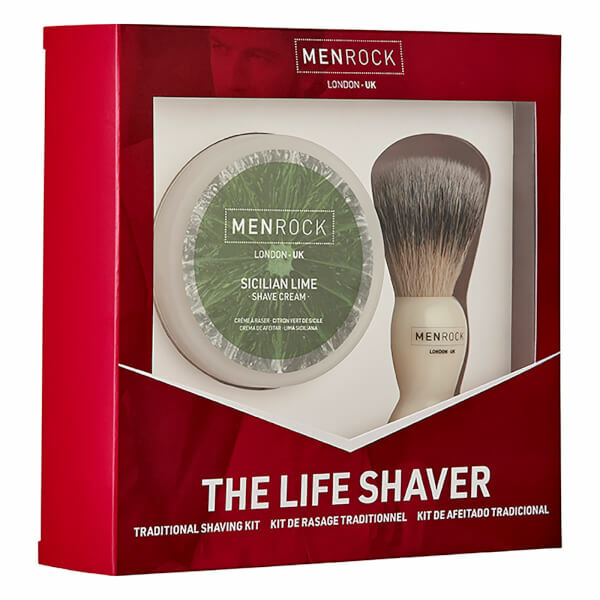 Men Rock present The Life Shaver; a shaving cream and traditional brush that allow you to feel perfectly groomed. 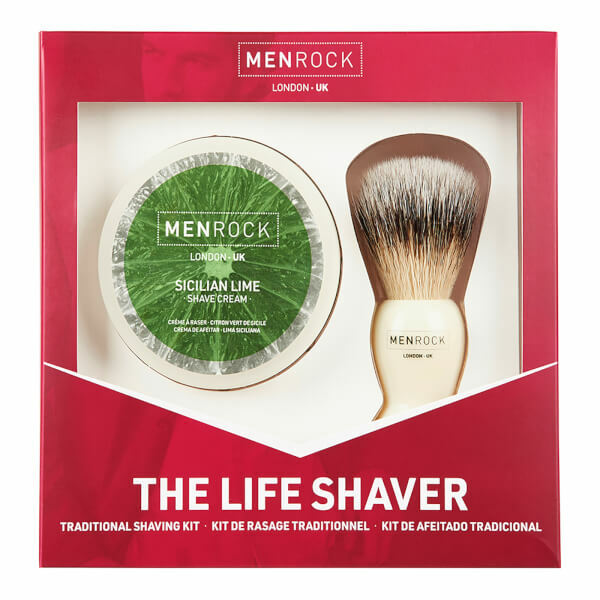 Housed in a gift box, making an ideal treat for the male who likes to look his very best. A must-have tool fitted with soft, synthetic bristles that effectively lift facial hair for a close, comfortable shave. With an ergonomic handle, the durable brush creates a superior lather so you can achieve a high performance shave every time. Helps to buff away dead surface cells that might hinder the glide of your blade. A nourishing formula that softens and lifts hairs to prepare for shaving. Creating a protective barrier over the skin's surface, the non-greasy cream allows your razor to glide effortlessly over skin with minimised friction. 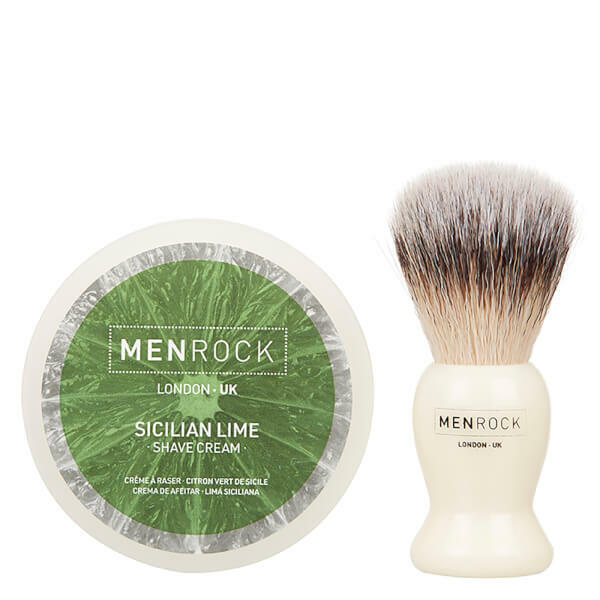 Skin feels smooth, comfortable and subtly scented with notes of Sicilian Lime.